The task of developing novel techniques for curing human illnesses is really a complex and tough challenge. This chapter gives a comprehensive discussion of various materials and techniques used in cell encapsulation. Cell encapsulation is a technique whereby living cells are entrapped into a selectively permeable polymeric materials (membranes/beads) making them a potential tool for the treatment of various human illnesses such as Parkinson’s disease, hemophilia, lysosomal storage disease (LSD), cancer and diabetes. The encapsulated cells become immune, i.e., the immune system of the host could not recognize them; therefore, it does not develop any potential immune response against encapsulated cells. 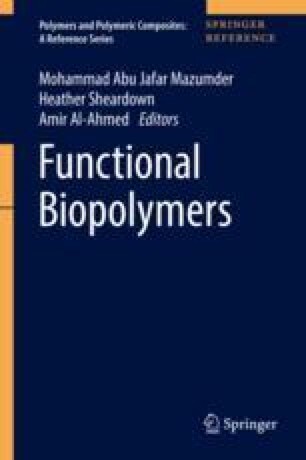 Overall, this chapter reviews wide range of techniques that could potentially use in cell encapsulation and discuss how the capsule properties are related to the performance of the cell to treat various diseases. Furthermore, the use of different materials and their impact on the properties and performance in cell encapsulation are also discussed in detail. The authors would like to gratefully acknowledge King Fahd University of Petroleum & Minerals (KFUPM), Saudi Arabia for providing excellent research facilities.